If you're in the market for an 11-inch laptop that can fit on an airline tray table with room to spare, offers good battery life and delivers reasonably impressive performance, then the HP Pavilion dm1-4010us is the notebook for you. Tradeoffs? Sure, every laptop has to make them, but at least HP remembered the most important one by keeping the dm1 plenty cheap, now just $445. The usual suspects show up in the software bundle, and HP adds a few utilities to help organize your apps. You get the ad-supported and limited Microsoft Office Starter 2010, 60 days of Norton Internet Security, and HP MovieStore Powered by RoxioNow. To help you find and launch apps more quickly, HP adds two organization tactics. The $479 HP Pavilion dm1-4010us has a lot of things going for it, including sleek looks, portability, Beats Audio, and enough performance muscle for everyday computing and even light gaming. HP is also really onto something with HP Launch Box and the revised Start menu--they're subtle additions, but make for a better computing experience. 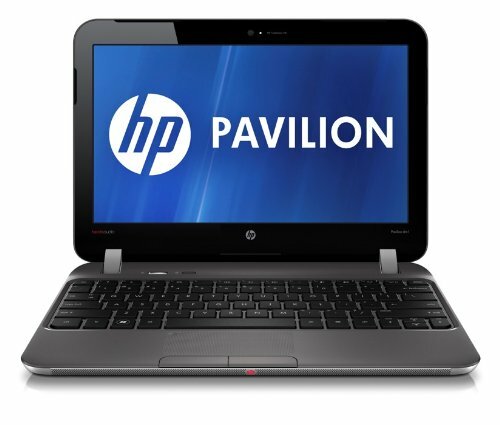 We wish this laptop lasted a little longer on a charge, but overall the Pavilion dm1-4010us is an excellent choice for bargain hunters looking for a highly portable laptop.